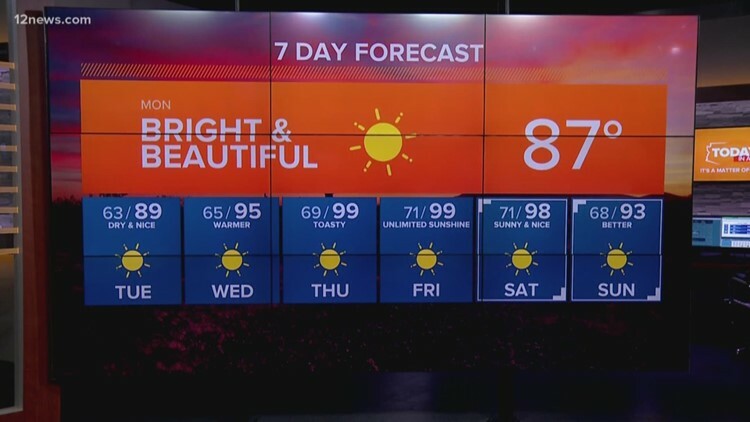 Bright and dry today with heat on the way later this week. Some warmer and drier days are coming before we're on storm watch again. 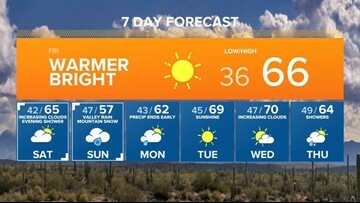 Starting today, Phoenix will be in the 70s for at least the next seven days. The temps later this week will be in the above-normal range. An active pattern will set up later in the week. 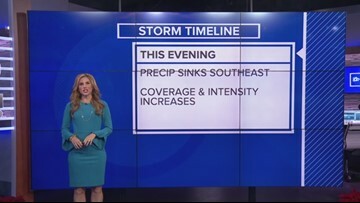 Rain showers return to the Valley Wednesday evening into Thursday. Daily rain chances continue through midweek. 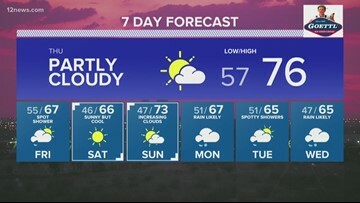 The Valley is looking at above-normal 70-degree temps through Sunday. 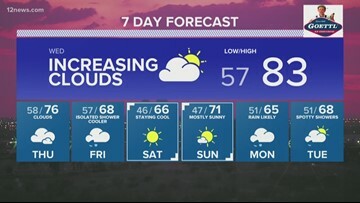 A weather maker is threatening your weekend plans. 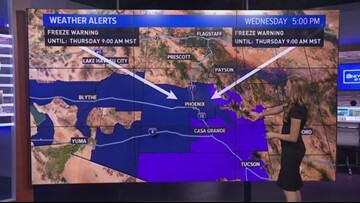 Freeze and hard freeze warnings are in effect Wednesday and Thursday mornings as lows drop 28 to 32 degrees in the Phoenix area and as low as 25 degrees in rural areas. Freeze warnings are in effect for the next two nights across the Phoenix area and in Pinal County as lows will drop into the 20s and low 30s on Wednesday and Thursday mornings. The coldest mornings of this season so far will be Saturday and Sunday. More snow and even colder temperatures for the rest of the weekend. 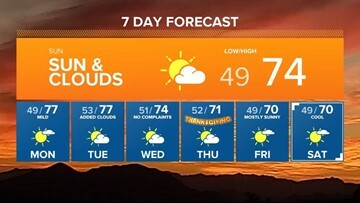 Looks like Thanksgiving weather will be beautiful.